This concert presents Franz Schubert’s popular Piano Quintet in A Major D667 ‘The Trout’, named after his famous song that features as the theme for a set of variations in the final movement. The performers will be renowned pianist Timothy Young, Head of Piano and Chamber Music at the Australian National Academy of Music along with the talented musicians from ANAM. Biography: Timothy Young is one of Australia’s most prominent and versatile pianists. 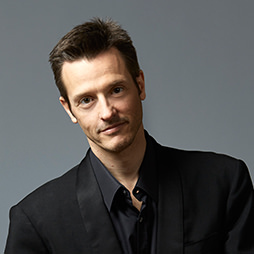 Currently the Head of Piano and Chamber Music at the Australian Academy of Music (ANAM) and a founding member of Ensemble Liaison, he performs regularly in recital as a soloist and in partnership with leading Australian and international musicians and ensembles. Tim is joined by students from the Australian National Academy of Music (ANAM) which is dedicated to the artistic and professional development of the most exceptional young classical musicians from Australia and New Zealand. It is a place in which musicians fulfil their potential as music leaders, distinguished by their skill, imagination and courage, and by their determined contribution to a vibrant music culture.